The Vision... that became a reality. 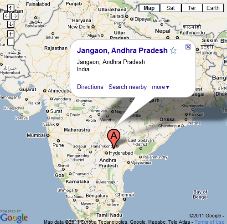 Yeswanthapuram, JANGAON - 506 167, Dist. Jangaon, T.S. Greetings and best wishes from Dr.Sr. Innamma, staff and cataract patients from the Nelson Curnyn Eye Clinic Dr. Nelson was recently in India visiting the Nelson Curnyn Eye Clinic from 17.11.2018 to 20.11.2018. We are really blessed with his presence and for continued excellent services to the tribal and scheduled caste people who cannot afford financially to get cataract surgery done and suffering with poor vision. There are people who are very old and abandoned by their children, and suffering with diminished vision due to cataract. Instead of living with darkness, frustration and exclusion they could have light, color, mobility and independence and find the way after cataract. 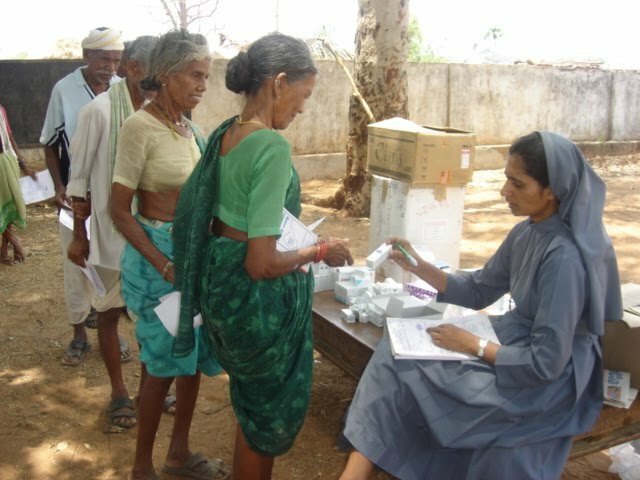 We express our gratitude for your continued interest, concern, and care for the poor. You are making it possible for us to continue and improve our service. You have been generous not only in your personal capacity but also encouraging others to help our work. We wish that there were more people like you willing to share their blessing with the underprivileged people of our area. You make us feel happy that we are doing great job in touching many lives of the poor. 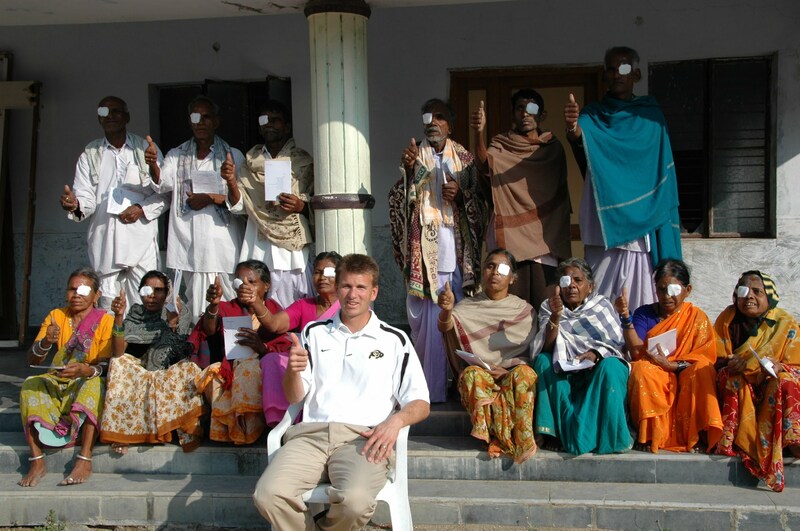 For last 13 years there has been a strong commitment to the eye clinic. Our clinic continues to grow, and we have been recognized by the local government as a site of quality eye care. We are slowly expanding our scope of care to now include not only cataract surgery, but pterygium, nasolacrimal duct, strabismus, and minor eyelid procedures. We are blessed to have 4-5 local ophthalmologists serving in our clinic. 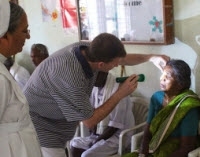 Your generous contributions and prayers allow us to carry on our work in the eye clinic. We are constantly moved, seeing the astonishment and wonder on the faces of the poor people when their eye sight is restored. You have been very instrumental in the success of the clinic from its beginning. You have channeled a great blessing for the poor with impaired vision. I express my gratitude to everyone for all that have been contributing thus to our Eye clinic. We the sisters, Staff and Patients assure you of our sincere prayers as you devote yourself to restoring the vision of the poor aged. 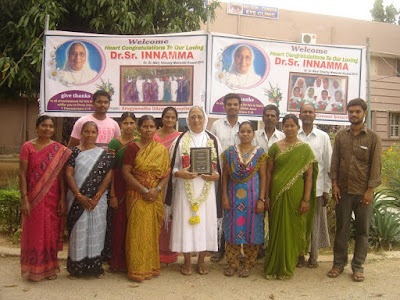 The St. John's Medical College Alumni Association has named Sr. Innamma the recipient of the 2015 Sr. Dr. Mary Glowrey Award. 'For dedicated service to the under-served and needy in the spirit of Christ and in keeping with the mission of the college". Sr. Dr. Mary Glowery was an Australian woman who served the needy in India in the early 20th century. 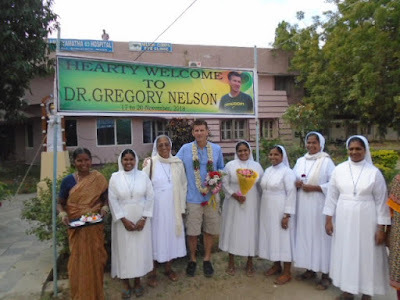 In 2013 Sr Glowery began the canonization process, and was described as: "Gifted medical doctor and religious sister, Australian-born Mary Glowrey, JMJ will be declared a Servant of God"
The Nelson-Curnyn Free Eye Clinic is proud to partner with Dr. Sr. Innamma, and congratulates her on her well deserved honor. Attached is a recent letter from the clinic with current clinic accomplishments and needs. The clinic is happy to hear that Dr. Kim Curnyn will be visiting this October to visit and see patients. We look forward to seeing her this fall. The clinic is pleased to announce construction of a new operating theatre, and recently purchased operating microscope to support the clinic doctors. Dr. Nelson looks forward to seeing it in action this December during his next visit. February 2011 - Website renovations are taking place with the goal of regular updates, and more information for potential donors! August 2009 - Dr. Nelson visits for several days, bringing some new equipment.